Mermaid 6 inch Glass Suction Window Vase. 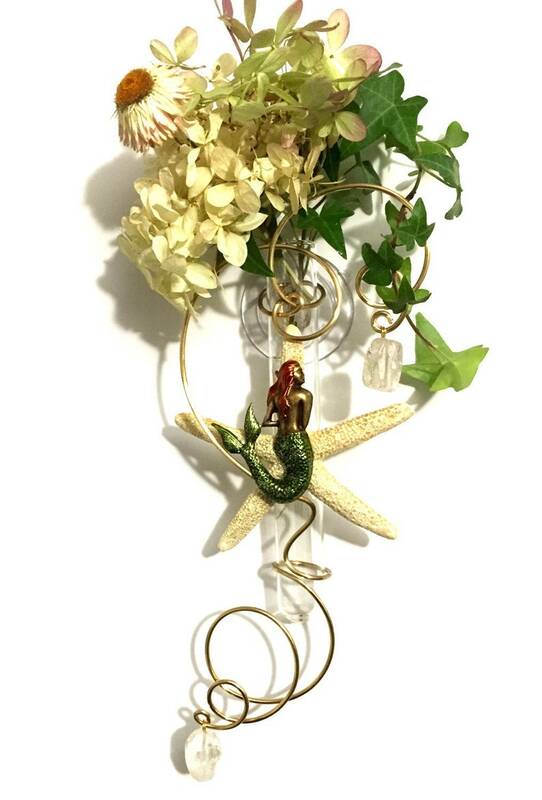 I have hand colored a beautiful brass mermaid charm and dusted her with just a hint of glitter. She is placed on a genuine starfish seashell. This glass window vase adheres to a window or mirror surface with a permanently attached suction cup. I have placed some dried botanicals and live rooting ivy into this vase. This suction window vase is designed to hold fresh flowers and water as well as essential oils and diffusing reeds and functions as a room freshener as well as a rooting vase.